Over the last few years, I have been not only composing new pieces for the synagogue and beyond, but also honing my skills as an arranger and an orchestrator. I hope to use these new abilities further into my retirement, which began this summer (2017). 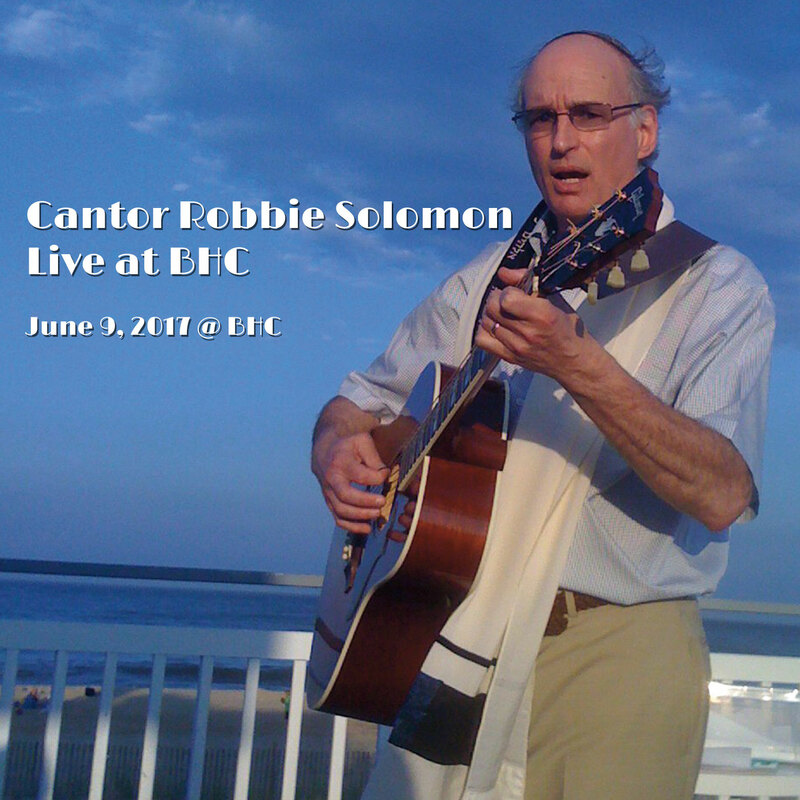 I am proud to offer here a new live recording, “Cantor Robbie Solomon Live at BHC” in which many of these skills are displayed. It was scored for cantor, choir, string quartet, woodwind trio and a rhythm section of guitar, piano, bass and drums. The CD includes eight original pieces most of which have not been recorded before. You can purchase the CD for $15, including shipping and handling, or download it for $10 from OySongs.com. 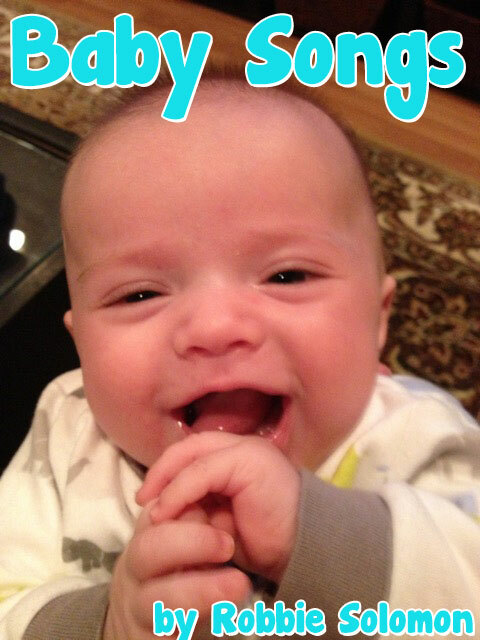 A collection of six Baby Songs © 2013 on the occasion of becoming a grandfather. Mixing by David Sparr, Little Dog Studios, Malden, Mass. 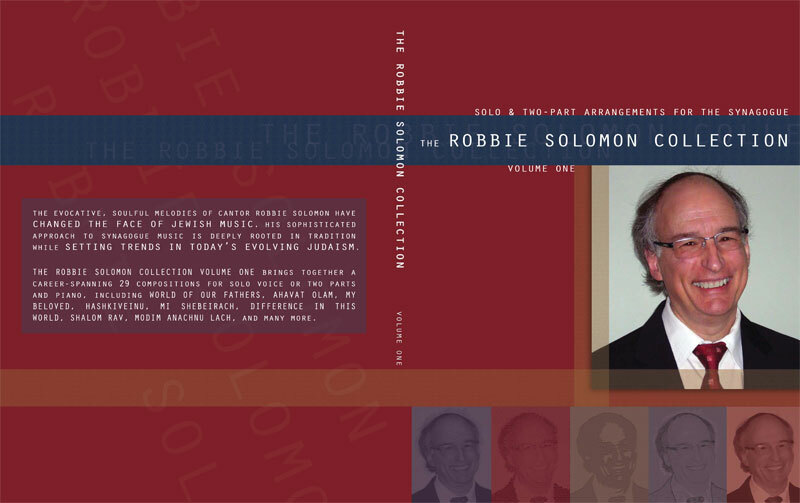 12 songs by Robbie Solomon, two-part arrangements for the synagogue, beautifully performed by Robbie and a stellar cast of cantors—Benjie-Ellen Schiller, Jacob Mendelson, and Elias Rosemberg—and beautifully orchestrated. CD for $11.95 plus shipping. 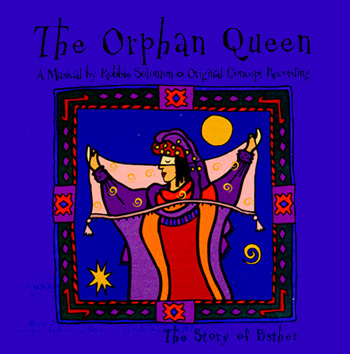 Recorded in 1999 at Blue Jay Studio in Massachusetts, this 2-CD set features some of the original actors, singers and musicians from the 1997 production of Robbie’s full-length musical based on the biblical story of Esther. The play (OrphanQueen.com) has been performed on numerous occasions and in many venues since that year and has undergone some reworking and writing. However, this wonderfully upbeat and moving recording still inspires and is the basis for all subsequent productions. TWO CDs for $24.95 plus shipping. A collection of 29 solo and two-part arrangements for the synagogue, this songbook is contains full piano accompaniment as well as some optional cello and clarinet parts. Songbook & CD for $49.95 plus shipping. The music of a Jewish service brings an extra dimension to the worship experience. A cantor’s voice, a choir’s harmony, a congregation’s spirited singing, all lend richness to the powerful words of our tradition. In this collection of settings for solo voice and two-part singing are songs that stretch the listener’s ear and songs that seem comfortably familiar. There are concert pieces as well as melodies for the congregation to join in singing. Included with the printed music is a CD recording of twelve of the twenty-nine settings. It is called “Forever Blessed.” Recordings of many of the other songs can be found at OySongs under my name or Safam. Temple Neve Shalom of Portland, OR on the occasion of their 130th anniversary. Here it is set as a simple arrangement for two-part choir and cantor. liturgy, states that “students of torah increase the level of peace in the world”. contrast to the message of the text. serves to soften his own grief. B’TZEIT YISRAEL — “When Israel went forth from Egypt” comes from the Hallel service. the Red Sea. It is recorded on Safam’s Greatest Hits vols. 3 & 4.
and bring us safely through the night to awake in peace. of Lebanon. The music reflects that bravado. of a new sanctuary at Temple Beth-El, Northbrook, IL. Olam). It is a majestic solo with congregational responses. heaven and earth is Yours.” The second part is a joyous dance. musical drama Photo Album from Safam’s Greatest Hits vols. 3 & 4.
the holiday of Passover when the Song of Songs is traditionally read. service. It is a dialogue on the nature of justice. maintain his or her intonation until the piano or piano/strings enter. verses 1-3, which is part of the Friday night liturgy. now grown and on the way to starting his own family.